Home » Blog » Business » A boss of a construction firm and his accountant stole £6.9 million from the taxman to live a life of luxury. A boss of a construction firm and his accountant stole £6.9 million from the taxman to live a life of luxury. The crooks did not hand over VAT or the tax and national insurance contributions of hundreds of staff and contractors over two-and-a-half years. Instead Bentley driving accountant Aquil Ahmed, 60, bought properties in the UK, USA and Turkey and took multiple foreign holidays, including trips to Dubai and the Monaco Grand Prix. Company director Victor Shearer, 43, laundered his £1.2 million cut through a bank account in Gibraltar. He then spent vast sums through bank transfers, cash withdrawals and by debit card, on property and high-living, ski holidays, cars and treating friends, family and clients. Payroll administrator Christopher Azzopardi, 37, up to his eyes in debt was paid £60,000 a year, double the usual bookkeeper’s wage, for his role in the fraud. Shearer’s company, Leaner Logistics, supplied short-term contractors to the construction industry, mainly in London and the South East. Often providing hundreds of workers at a time, Shearer turned to Ahmed’s Rochester-based accountancy firms to run his payroll and Construction Industry Scheme (CIS), in which contractors deduct money from a subcontractor’s payments and pass it to HMRC. But rather than pay the tax and National Insurance, the duo stole the money with the help of Azzopardi. Over time, Shearer introduced other clients to the payroll company, who also used this fraudulent scheme. The trio tried to hide the business payroll fraud by using a complex network of British and offshore companies and bank accounts but were rumbled by tax investigators. At Maidstone Crown Court on Friday Ahmed pleaded guilty to three counts of cheating the public revenue and Shearer and Azzopardi were found guilty of the same charge following a six week trial. Shearer and Ahmed laundered money through Gibraltar, the Channel Islands, the UAE, USA, Turkey and various property transactions. They are both subject to financial restraint orders. Ahmed, from West Malling, Kent, was sentenced to seven years and eight months and Shearer, from Kings Hill, Kent was jailed for seven years and six months. Azzopardi, from Swanscombe, Kent was jailed for four years. 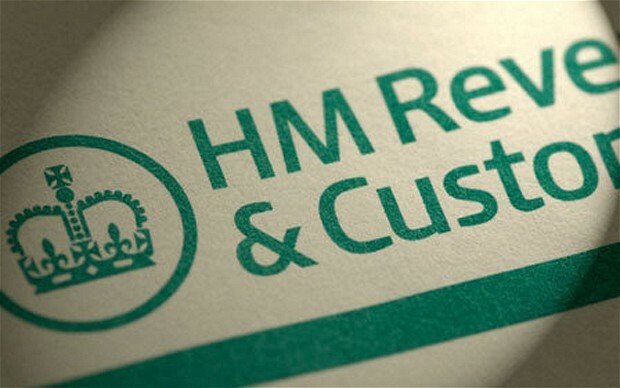 Chris Gill, assistant director of HMRC’s Fraud Investigation Service said: “These men were driven by greed, abusing systems that are designed to ensure workers are paid correctly and taxes paid to HMRC. “They were all professionals who knew they were breaking the law, but as an accountant Ahmed was in a position of trust making his part in the conspiracy even more deplorable. “These criminals thought they’d created a sophisticated fraud and that by operating through numerous UK and offshore companies, they could hide what they were doing. “But our investigations are thorough and with assistance from authorities in Gibraltar we unravelled the many layers they’d created and they are now paying the price for their crimes. “This investigation shows that regardless of the resources of those involved, or how hard they try to hide their crime, no one is beyond our reach.